Our submission window for Comedy scripts (Script Room) is open until 5pm on Monday 29th April. Watch a short animation below to support your writing which covers The Essentials of Scriptwriting, including Developing Your Idea, Beginnings (and Endings), Dialogue, Characters and Scenes. (Our Script Room is normally open twice a year, once for drama and once for comedy). Trust Me returns on Tuesday 16th April at 9pm on BBC One. The drama's writer Dan Sefton spoke to us about the premise for this series, which introduces a new storyline and characters, but retains the first series' focus on 'the dark side of medicine'. He also talks about why he thinks doctors can make good screenwriters but why it also feels like "having an exam tomorrow for the rest of your life"! In the interview we did with you for Series 1 of Trust Me you described a key element of a successful drama being that you create strong characters and place them in an interesting dilemma. Who is your key character in Series 2 of Trust Me and what is the dilemma? Getting a place on the BBC Writersroom's TV Drama Writers’ Programme was like Indiana Jones’ mission to get the golden idol at the start of Raiders of the Lost Ark - with each step of the quest being more formidable than the last. It started with sending a copy of my play Punts (which had recently had a run at Theatre503) and a pitch for an original drama series. Then I had an interview with the BBC Writersroom’s Development Producer (Ros Ward). This was closely followed by a second interview where I had to present three original drama ideas this time to Anne Edyvean, the Head of the BBC Writersroom. The final stage of the selection process - the boulder rolling after Indy part - was to meet with all of the production companies interested in my ideas. For me this was BBC Studios, Bad Wolf, Balloon Entertainment, Clerkenwell Films, Hartswood Films, Kudos North and Mainstreet Pictures. At one point I had to pitch to five of these incredible production companies simultaneously which was rather like being on five speed dates with phenomenally attractive people at the same time. Spring has sprung, which means it’s time to get polishing. But, forget Mr Sheen*, it’s time to buff up those scripts and make them sparkle. 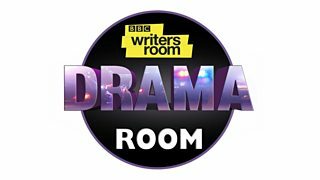 For the BBC Writersroom Comedy Script Room 2019 has now opened. Having just completed last year’s Comedy Room development scheme, if you write comedy you owe it to yourself to apply. Here are my 10 reasons why. We received 3634 scripts in our latest open submission window for drama scripts, which closed in January. We asked the newest member of the script reading team for an update on their progress. Tom Rob Smith is the writer of novels including 'Child 44' and the screenwriter of London Spy and American Crime Story - The Assassination of Gianni Versace (Emmy nomination and winner at the Writers' Guild of America Awards). His new drama MotherFatherSon starring Richard Gere, Helen McCrory and Billy Howle begins on BBC Two on Wednesday 6th March 2019 at 9pm and on BBC iPlayer. We caught up with Tom to find out more about MotherFatherSon and his writing life.